Greetings from Cameroon. I am writing this very short report while in Mbanga where I will spend one week with the coordinator of Bear valley schools in Cameroon, where he will be teaching and doing evangelism. He spent one week in Wotutu teaching “The New Testament Church” and it was great with the gamma batch of students. 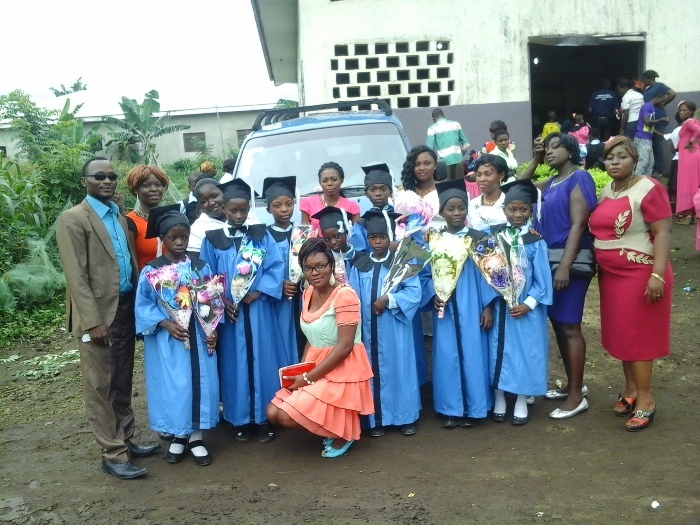 Still, in this week we had the second graduation ceremony of Brightland Christian Academy. It was great as many came to watch and it was an opportunity to continue to expose many to the value of Christian education. God blessed the week by adding five precious souls. It was great to see how far we go for souls, some during heavy rainy days and even at night. Keep the Wotutu congregation in your prayers and these new souls. We shall go to the west coast of Cameroon by next month to get a new congregation established. God bless you for all you are doing here for the work. God bless you and keep you strong. Do your best to share this report with others. Posted on June 21, 2015 by Robert Turner and tagged Extensions Cameroon.